Cannon Fleece Throws Just $1.99! Down From $8! You are here: Home / Great Deals / Cannon Fleece Throws Just $1.99! Down From $8! 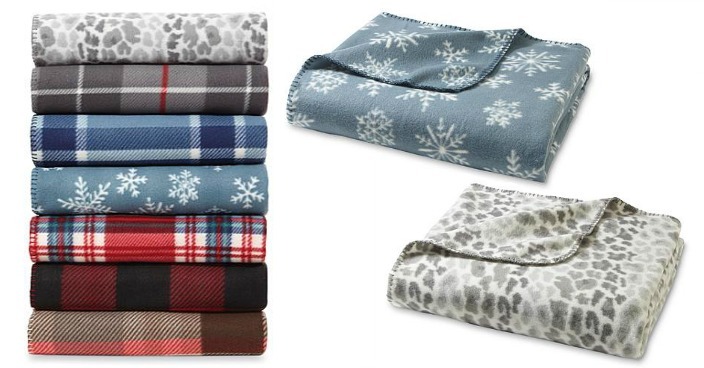 Sears has these Cannon Fleece Throws on sale for $1.99 (Reg. $8)! Plus you can get FREE in-store pick up or FREE shipping on orders over $30! This fleece throw from Cannon brings a touch of cozy magic to the ambience. Crafted from fleece fabric, this throw is soft to the touch and adds a layer of warmth as you drape it across yourself. A snowflake pattern lends perfectly to your wintry decor, enhancing the look with color. The whipstitched edges round out this throw with rustic style.